Business Travel, Finance and Software Engineering. Seize your chance and become part of our team. High-performing products in Business Travel. Powerful Business Travel Management through highly integrated end-to-end processes and the most modern user experience. With our expertise and our products, we make the difference! Customized concepts and templates for effective integration of your travel data into your accounting. We support you extensively! Tailor-made, high-performing ERP applications using cutting-edge technologies and products. Our greatly skilled team is excited about your new challenges! We are a business consultancy with a focus on SAP and outstanding expertise in the fields Business Travel, Finance and Software Engineering. We provide our clients with added value by offering innovative solutions tailor-made to both internationally active corporations as well as medium-sized companies. Our professional and methodological know-how as well as our technological competences enable us to master complex tasks and successfully complete our projects by applying an appropriate level of humanity and passion. 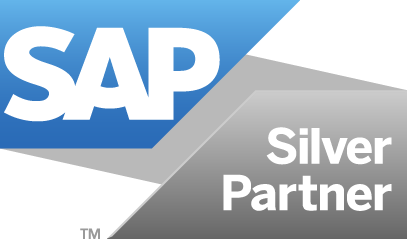 As an SAP partner, we offer not only competent consulting services but also SAP-certified products and solutions, that offer our many customers long-term benefits and high investment security. Our additional high-performing service and support structure allows for tailor-made support and the adoption of comprehensive application management. Business trips are one of the most time-consuming and cost-intensive activities in every corporation. With our comprehensive consulting experience, we support your corporation by designing, realizing and optimizing integrated and powerful solutions for the entire Business Travel environment. We offer comprehensive consulting for both accounting and controlling in all industries. Our specialists support your corporation in designing and implementing solutions tailored to your needs. Passion for technology, coupled with many years of experience in the execution of complex projects, makes us experts for the technical implementation of your business processes in SAP landscapes. With our new HTML5 interface, we offer a real alternative to cloud billing services. The application can be run comfortably from the mobile phone or laptop and uses the proven SAP travel cost modules. Through the different conovum modules, the travel expense account becomes a children’s play. We offer individual components tailored to your company. The cytric integration for SAP is the long-awaited missing link to meeting the challenges of modern Business Travel Management as it combines all scenarios for process and master data integration with the leading SAP system. By merging all systems involved, a holistic approach is made possible over the entire process cycle. The Custom Code Mercator can be used to effectively generate technical documentation for ABAP applications. For this purpose, various sources of information are combined and supplemented by a static analysis of the current implementation into one substantial technical documentation. The result is a linked documentation in HTML or PDF format following the company guidelines.